Complete meals (main course, starch side dish plus vegetables) - 500 kcal or less. 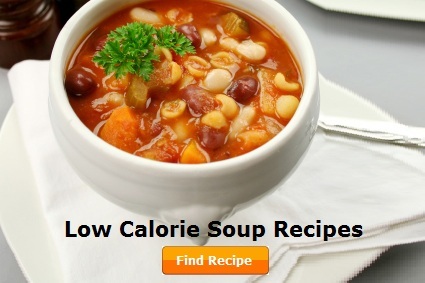 D - low calorie diabetic recipes. Total time: 20 min. 237 calories. Ingredients: eggs, garlic, dried crushed chillies, butter, sun-dried tomatoes, chorizo, oregano. Total time: 20 min. 107 calories. Ingredients: egg whites, zucchini or courgette, cottage cheese, spring onion, parsley, olive oil. Total time: 35 min. 320 calories per one serving. Ingredients: eggs, smoked salmon, Philadelphia 95% fat free cheese, potatoes, dill, unsalted butter and fresh cucumber. Total time: 25 min. 143 calories. Ingredients: leek, cauliflower, white mushrooms, eggs, dried basil, fresh rosemary, Parmesan cheese, butter. Total time: 25 min. 200 calories. Ingredients: eggs, feta cheese, spinach, dried oregano, olive oil. Total time: 20 min. 191 calories. Ingredients: asparagus, onions, eggs, soft goat's cheese, thyme, butter. Total time: 25 min. 254 calories. Ingredients: king prawns (shrimps), olive oil, eggs, cheddar cheese, garlic, dried crushed chillies, butter, fresh basil. Total time: 15 min. 120 calories. Ingredients: egg whites, mushrooms, spring onions, Parmesan cheese, coriander, butter and olive oil. Total time: 20 min or 1 hour 20 min (to marinate the chicken - optional). 258 calories. Ingredients: chicken breast, green pepper, onion, guacamole, salsa, sour cream, lettuce, etc. Total time: 20 min. 330 calories. 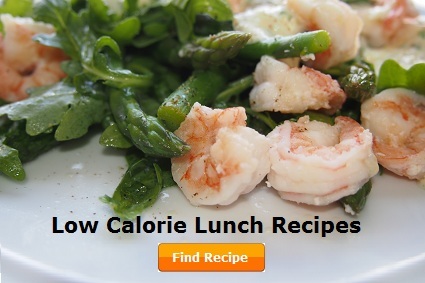 Ingredients: shrimps or prawns, asparagus, rocket leaves, lemon juice, olive oil, light mayonnaise, egg, capers, Dijon mustard, fresh tarragon. Total time: 26 min. 199 calories. Ingredients: aubergine or eggplant, Parmesan cheese, olive oil balsamic vinegar, sweetener, parsley, garlic, crushed chilli flakes. Total time: 15 min. 248 calories. Ingredients: avocado, back bacon, tomato, lettuce, parsley, onion, olive oil, lemon juice, Dijon mustard, ground cumin, vegetable stock. Total time: 10 min. 138 calories. 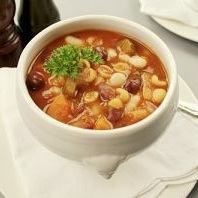 Ingredients: green beans or French beans, olive oil, dried marjoram, red onion, vegetable stock, lemon. Vegetarian. Total time: 15 min. 254 calorie. Ingredients: can of tuna, tomato, red onion, green or black olives, eggs, lettuce, parsley, olive oil, lemon juice, garlic, capers. Total time: 30 min. 242 calories. Ingredients: chicken breast, lettuce, Parmesan cheese, anchovy (optional), olive oil, lemon juice, mayonnaise, garlic, Dijon mustard, Tabasco sauce. Total time: 10 min. 110 calories. Ingredients: yellow pepper, garlic, radishes, spring onion, lettuce, olive oil, balsamic vinegar, Dijon mustard, sweetener. Total time: 5 min. 197 calories. 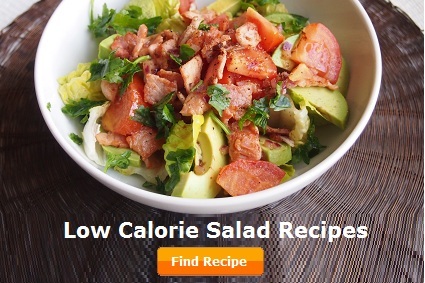 Ingredients: Hass avocado, low fat cottage cheese, lime juice, chives, cucumber, ground cumin. Total time: 20 min. 106 calories in one serving. Ingredients: fresh spinach, cauliflower, onion, garlic, ground nutmeg, olive oil, sour cream, vegetable stock. Total time: 25 min or 1 hour 10 min. 133 calories per one serving. Ingredients: chicken leg, red pepper, spring onion, peas, vegetable stock, garlic, dried oregano, thyme, parsley. Total time: 25 min. 294 calories per one serving. Ingredients: celery, leek, garlic, fennel, red chilli, thyme, olive oil, white wine, white fish (cod, haddock, monkfish), raw prawns and mussels. Total time: 30 min. 248 calories per serving. 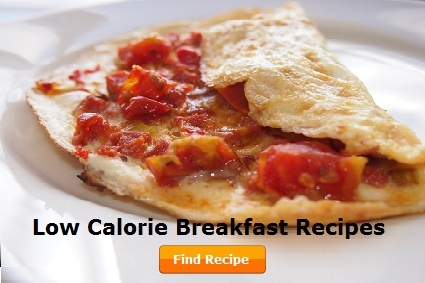 Ingredients: extra lean minced meat, egg white, canned chopped tomatoes, celery, spring onion, green pepper, garlic, basil, thyme, oregano, parsley, chillies, etc. Total time: 25 min. 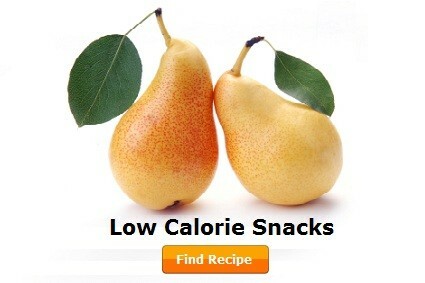 170 calories per one serving. Ingredients: sweet potatoes, celery, carrot, olive oil, onion, Thai curry paste red or green, vegetable stock, reduces fat coconut milk. Total time: 45 min. 148 calories per serving. Ingredients: carrots, sweet potato, onion, coriander seeds and fresh, olive oil, stock, lemon juice, half-fat creme fraiche. Total time: 30 min. 230 calories in 1 serving. Ingredients: onion, olive oil, zucchini, green beans, celery, garlic, red kidney beans, navy beans, small shell egg pasta, spinach, parsley, oregano, etc. Total time: 40 min. 146 calories per serving. Ingredients: tomatoes, olive oil, garlic, chilli (optional), basil, capers, black pitted olives, sun blush tomatoes, etc. Total time: 20-30 min. Ingredients: carrot, celery, swede, cauliflower, onion, ground turmeric, olive oil, chives and vegetable stock. Total time: 50 min. 90 calories in one serving. 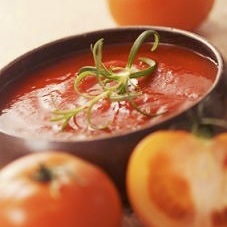 Ingredients: tomatoes, tomato juice, chicken or vegetable stock, basil, cream fraiche, butter. Total time: 30 min. 164 calories per serving. Ingredients: can of chopped tomato, carrots, leek, celery, onion, zucchini, cabbage, small shelled egg pasta, olive oil, vegetable stock, garlic, rosemary, etc. Total time: 40-50 min. 163 calories per one serving. Ingredients: celery sticks, chicken stock, skim milk, leek, olive oil, sage, fresh basil. Total time: 30 min. 178 calories in one serving. Ingredients: plum tomatoes, roasted red peppers, tomato and orange juice, rosemary, chicken stock. Total time: 20 min or 1 hour 10 min. 133 calorie per one serving. Ingredients: chicken leg, ham, onion, cauliflower, garlic, ground sage, vegetable stock, parsley, etc. Total time: 30 min. 202 calories per one serving. Ingredients: fresh tomatoes, tin of plum tomatoes, celery, olive oil, carrot, onion, chicken stock, garlic, basil, bay leaves, chillies (optional). Total time: 30 min. 141 calories per serving. Ingredients: onion, oilve oil, parsnip, celery, root of ginger, curry powder, vegetable stock, low fat yogurt, coriander. Total time: 2 hours 15 min or 45 min if you use a pressure cooker. Ingredients: beef, carrot, celery, onion, leek, pearl barley, garlic, chilli (optional), parsley. Total time: 1 hour 10 min. 326 calories per serving. 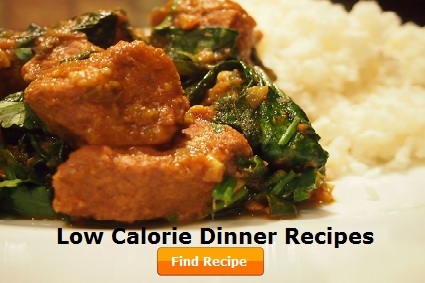 Ingredients: lamb fillet, spinach, garlic, spring onion, ground ginger, cumin, coriander, turmeric, chilli powder, tomato, tomato puree, olive oil. Total time: 55 min. 350 calories per serving. Ingredients: chicken thighs, lemon, garlic, olive oil, basil, small glass of white wine. Total time: 30 min. 313 calories per serving. Ingredients: salmon fillets, reduced fat sour cream, lemon juice, fresh dill, parsley, zucchini(courgette), garlic, olive oil. Total time: 1 hour. 410 calories per serving. Ingredients: chicken breast, feta cheese, lemon, garlic, olive oil, fresh mint leaves, tarragon, kalamata olives. Total time: 12 min. 387 calories per serving. Ingredients: extra lean minced beef, spring onion, parsley, basil, garlic, egg white, tomato, olive oil, lemon juice, lettuce. Total time: 1 hour 55 min (time depends on the chicken size). 306 calories per serving. Ingredients: organic or free range chicken, fresh rosemary, garlic, olive oil. Total time: 30 min. 373 calories. Ingredients: chicken breast, reduced fat coconut milk, coconut oil, Thai red curry paste, lime juice, lemon grass, mangetout, broccoli raab, zucchini, baby sweetcorn, pak choi, red pepper, etc. Total time: 30 min. 376 calories per serving. Ingredients: pork loin steak, Portobello mushrooms, watercress, olive oil, garlic, spring onion, dried thyme, English mustard, vegetable stock, etc. Total time: 50 min. 357 calories. Ingredients: cod fillets, fennel, red pepper, tomatoes, garlic, onion, dried thyme, olive oil. Total time: 15 min or 1 hour 15 min (if to marinate meat). 287 calories. Ingredients: beef steak, Iceberg lettuce leaf, onion, green pepper, jalapeno pepper, salsa, guacamole, reduced fat sour cream, etc. Total time: 30 min. 248 calories. Ingredients: minced turkey breast, egg white, tomato, spring onion, parsley, garlic, English mustard, romaine lettuce. Total time: 1 hour 55 min (time depends on the chicken size). 306 calories. Ingredients: organic chicken, parsley, dried marjoram, garlic, lemon, olive oil. Total time: 40 min. 248 calories per serving. 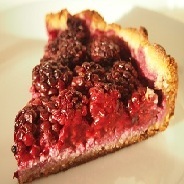 Ingredients: ground almonds, butter, egg white, baking powder, fresh blackberries, sweetener. Total time: 50 min. 251 calories per serving. 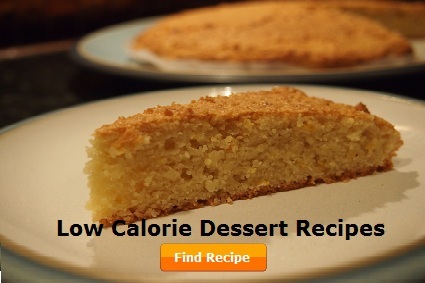 Ingredients: ground almonds, butter, olive oil, baking powder, eggs, lemon peel, sweetener. Total time: 40 min. 250 calories per serving. Ingredients: fresh blueberries, ground almonds, butter, baking powder, egg, sweetener. Total time: 30 min. 69 calories per one biscuit. Ingredients: ground almonds, coconut desiccated, egg whites, vanilla and almond extract, Amaretto, sweetener. Avocado and Collard Greens Smoothie - 183 kcal.